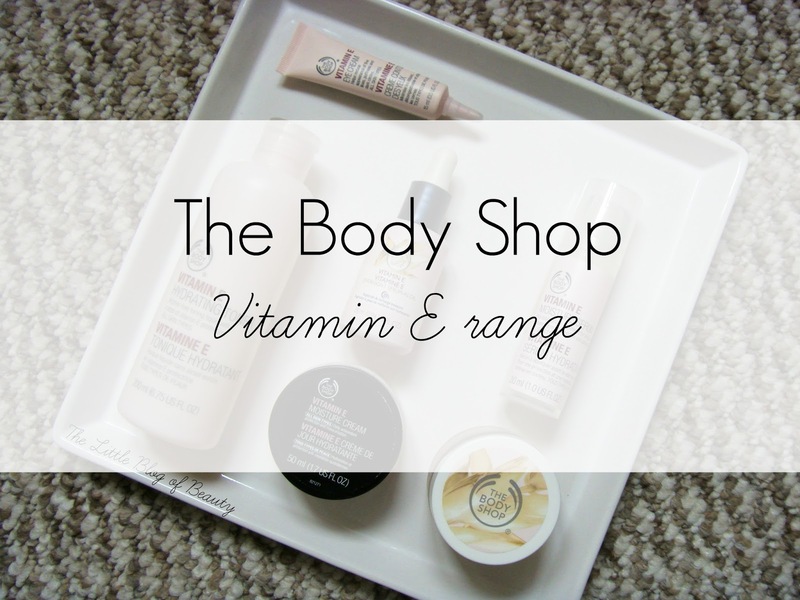 In December I took advantage of one of The Body Shop's amazing offers and purchased a couple of products from the Vitamin E range. 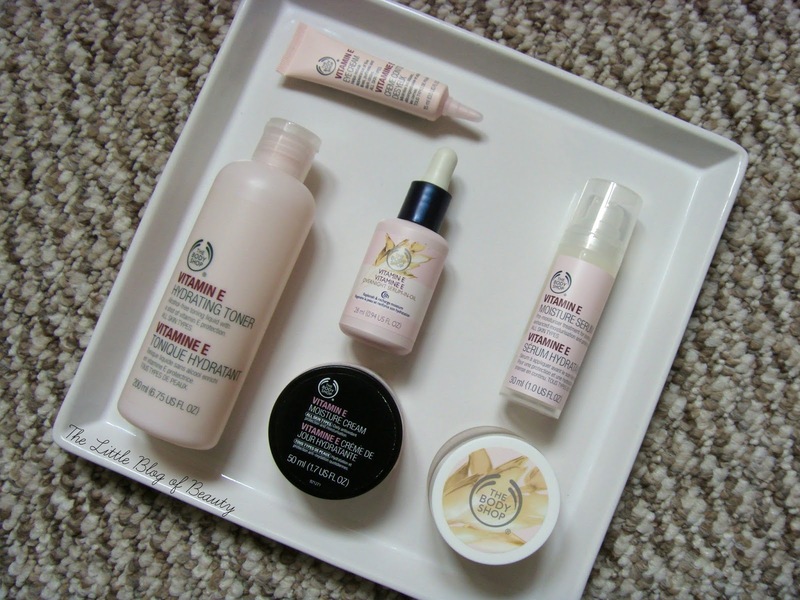 When I got them home I realised I actually have several products from this particular range, so I thought I'd dedicate a post to them. The range features 22 different products including a lip balm, cleansers, a facial spray, moisturisers and a BB cream and these products help to protect against pollution, UVA/UVB rays and premature aging. The range features nine best sellers, which shows you just how good this range is and why it's still around despite first being launched in 1977. The first product I got my hands on was the Vitamin E Moisture cream, which was actually a free gift with an order I placed last year, or possible the year before. I popped this in a drawer and didn't really think about it as I don't think I'd tried any of their skincare at the time. 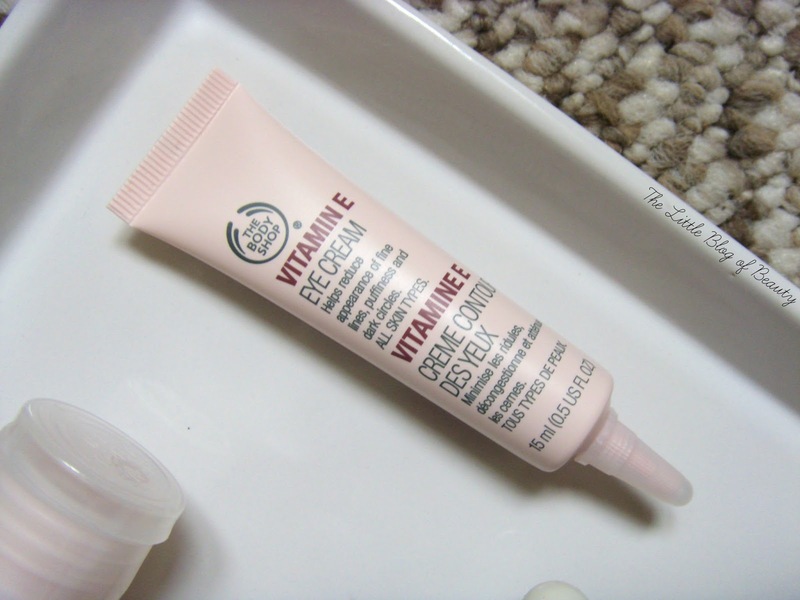 If I remember correctly I think I may have pulled this out when I decided to buy the Vitamin E Overnight Serum-in-oil (review) as I was curious around the whole serum-in-oil thing. I have dry/dehydrated skin that usually isn't too bad in the summer but once winter really sets in I really struggle trying to keep moisture in my skin and can suffer from dry flaky patches. This year I haven't really had a problem at all and I'm putting it down to these two products. The serum-in-oil feels like a slightly oily serum and absorbs quickly to leave lovely soft skin. In the summer I often just used this on it's own and only followed up with the moisturiser if I felt I needed it. The moisture cream can take a little while to sink in and can also leave my skin slightly sticky, but I don't mind this as I use it at night and it might absorb better when not used on top of the serum-in-oil. 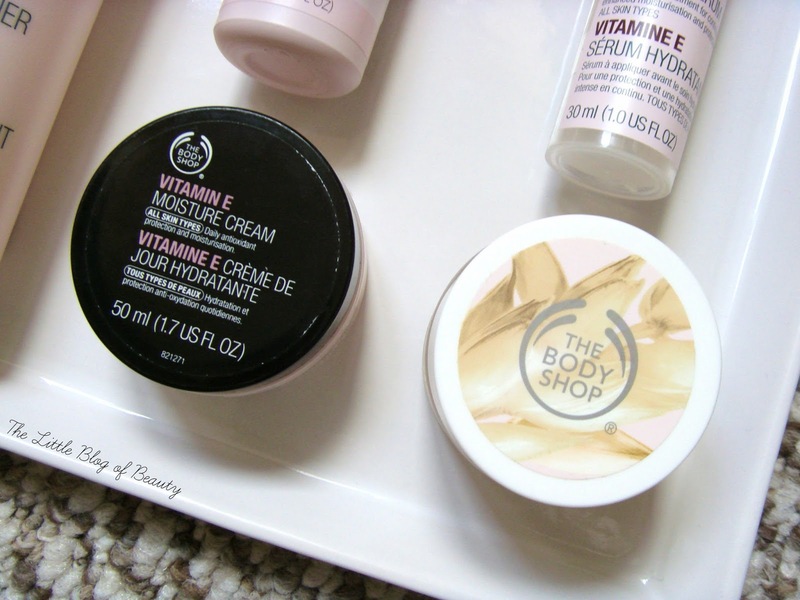 When the Vitamin E Aqua Boost sorbet (review) was released I was eager to try it. Although my skin is dry it much prefers light creams like the Origins GinZing moisturiser, so I thought this would be perfect for me. It has a slightly strange texture to it, like a sorbet/jelly but a little bitty, but it absorbs pretty much instantly and really gives my skin a boost of moisture. I recently decided that I wanted a moisturising serum to use in the morning. I'd previously used one by Avene that I really liked, but knowing that there was one in this range I decided to try the Vitamin E Moisture serum. This absorbs instantly providing a good level of moisturisation, usually enough that I can skip using a moisturiser and just go straight to applying my make up if I'm wearing any that day. 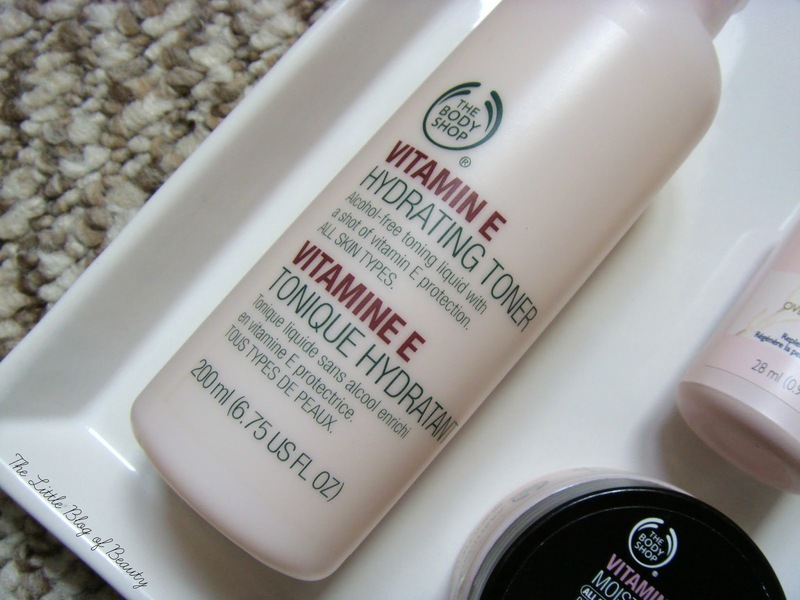 My Lush Tea Tree cleanser water recently ran out so I decided to try the Vitamin E Hydrating toner because I haven't tried a hydrating toner before and I thought it would helpful in the fight against my dryness. I haven't really been using this that long, so I will probably review it in the future, but I do like how my skin feels after I use this. Finally, a few weeks ago I noticed that the skin around my eyes was starting to get dry and at my age that's the last thing I want to happen as it's likely fine lines will start to show. I do have some eye products, mostly gel type roll on ones that to be honest I'm not really using, but I wanted a cream one and decided to try the Vitamin E Eye cream. Although it doesn't specifically say that it's moisturising knowing how moisturising the rest of the range is I knew it was probably a safe bet. Again I haven't been using this for long so I'll probably review it in the future. All of these products range between £8.50 and £13 (although don't forget those amazing offers) and are available in The Body Shop stores and of course online. 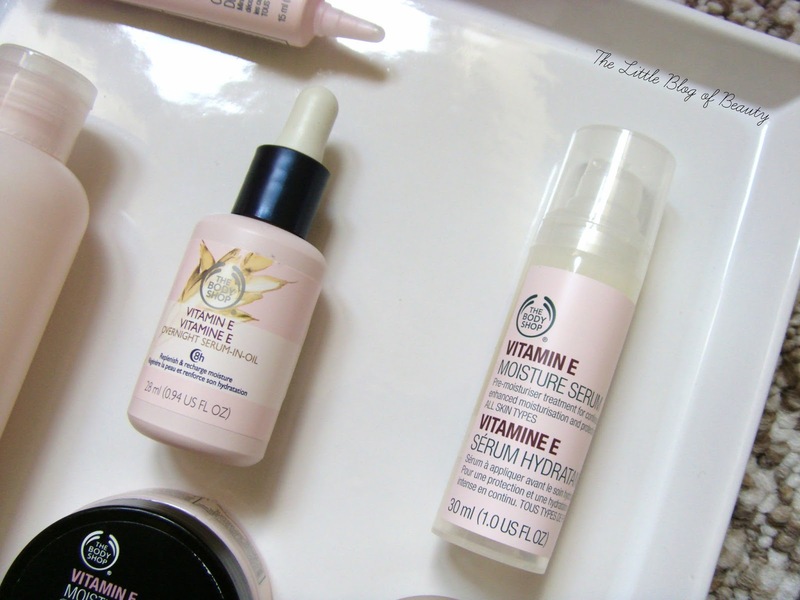 Are you a fan of any products in the Vitamin E range?